Talk about the flag seems common place in the media. Stand or knee, honor or dishonor, the flag is the center of attention these days. 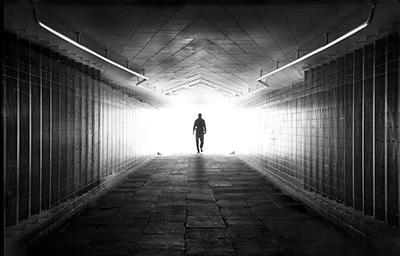 With age, we reflect and perhaps understand more. "Flag Day" and our "Fourth of July" celebrations will soon be upon us. Both days give us reason to celebrate our nation and all that she stands for. My neighborhood is filled with homes that proudly display the American Flag daily. American Flags adorn houses and yards and keep a silent vigil, serving as a type of consoling protector from harm for patriotic families. My first memories of the American Flag go back to my small, Midwestern, hometown of Carterville, Illinois. There, our flag was flown over all public buildings. It greeted me every morning at school. It made the police and fire departments look much more official to me as a child. It was seen pretty much everywhere sprinkled across town, yet I don't really remember it being displayed very much at private homes. Maybe it wasn't as readily available in the 1950’s for the public to buy for display. I grew up in a patriotic family, with patriotic neighbors and friends, but flags were not displayed as much then on private homes as they are today. My hometown had "Mayberry-like" qualities that made it as magical a blessing to me as Mayberry was for Opie Taylor. Have you noticed that Andy Taylor didn't fly a flag on his home or in his yard in Mayberry? I can't imagine anyone loving the flag more than Andy, Opie, and Aunt Bee. The American Flag is embraced more today by families as something to silently, yet visibly, and prominently display. It conveys a message of national pride. I think it is important that children today be taught about the history of the flag as a symbol of our nation. Children and adults view our flag from a different perspective. 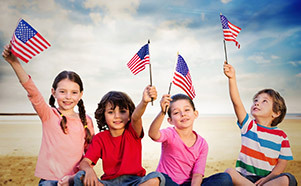 With age and maturity, adults see far beyond the "decoration" element of the flag. The symbolism of the flag changes as adults relate to it with personal family pride, love, or loss. Children are eager to embrace learning. Pride in and respect for our nation and her flag should be a part of that learning process. Every morning at school my day began with our class standing and reciting the "Pledge of Allegiance". The words were more a hollow recitation to me at first. Later, they came to have more meaning to me. 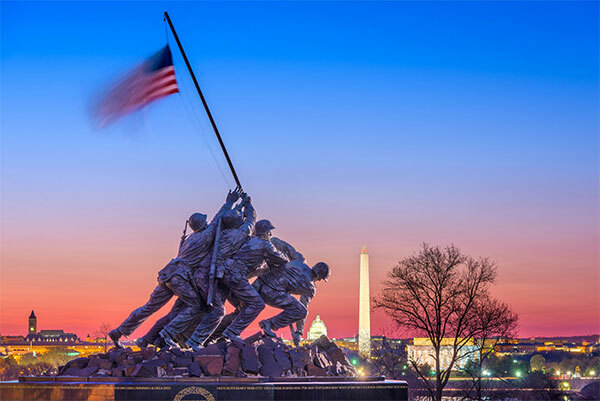 At night, the last image Americans saw before television stations signed off the air at midnight, was the American Flag waving over the Iwo Jima Memorial in Arlington National Cemetery. I watched that midnight closing hundreds of times as the Star-Spangled Banner played. I silently sang the lyrics to the song with the TV turned low so as not to keep my parents awake. Our American Flag led every parade through my small town. On Memorial Day there was always a ceremony honoring service men and women resting at the local Oakwood and Hillcrest Cemetery. We attended the ceremony most every year to visit the grave of my brother, Dean, who was killed in action in Korea, and to pay respect to all the other veterans interred there. As we entered the cemetery, we were always greeted by a member of one of the veterans' groups. Elderly men, proudly wearing uniforms resurrected from closets for the occasion. They always greeted us warmly. They asked if a family member who was a veteran was buried there, then gave us a small American Flag to place on my brother's grave. You could look across the open expanse of the cemetery and see hundreds of small flags scattered to honor each of the deceased veterans. At Noon, there was always a formal ceremony at a large, stone "War Memorial" located near the cemetery entrance. A bronze plaque on the memorial bore words of courage, sacrifice, and duty. As the crowd attending gathered to hear a message or remembrance and respect, an honor guard stood by, holding both military flags, and the American Flag. The flags were ones used for more formal occasions. They were large and trimmed in gold fringe. Each flag was held by a uniformed soldier standing in line at attention. Children always gathered, seated on the ground at the front of the crowd, looking up to the guest speaker, listening, watching, and learning. A second line of uniformed soldiers stood close by, holding rifles, waiting to fire a twenty-one-gun salute to the brave veterans, both deceased, and those honored in their attendance. As orders were given, the seven rifles were raised and fired. Three, consecutive, loud volleys echoed over the silent cemetery and gathered crowd. The scent of gunpowder lingered in the air. 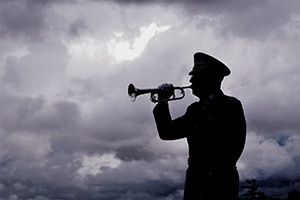 A bugler then played "Taps", closing the ceremony. Children always scurried to collect one of the twenty-one, rifle-ejected, brass bullet casings that lay on the ground. They were treasured as a souvenir of the outing. They were still hot as we gripped them. Rain or shine, that ceremony was always held, and the American Flag was always flown there proudly. 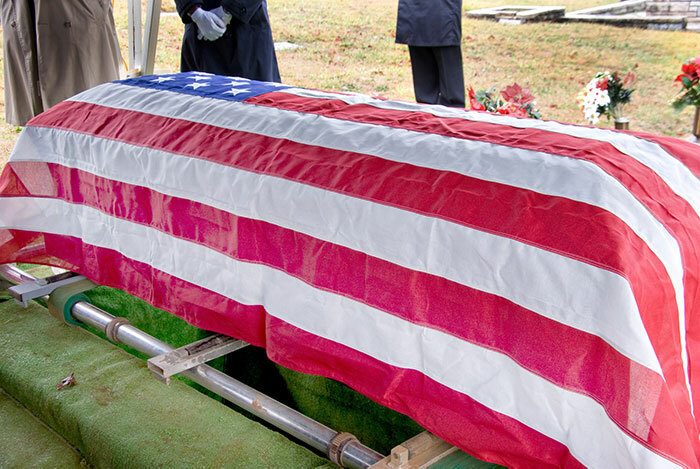 I've attended military funerals where the coffin of the fallen veteran was draped in the American Flag. I've watched it be presented to surviving family members after being removed and folded by an honor guard. That tri-folded flag is almost always drawn to and held by the heart. We still have the one from my brother's ceremony in our family. I've seen our flag be a part of celebrations with smiles, cheering, and laughter. I've seen our flag offer respect and consoling in some of our nation's darkest and most painful moments of tragedy and sorrow. After every disaster our nation encounters, one of the first visible signs of recovery seen, is citizens flying the American Flag. After his assassination, President Lincoln was buried holding a small American Flag. Our flag has always been a constant, reassuring presence in my life. Its powerful role in history is undeniable. That flag has always been an extended member of my family. Most all my friends and family would agree that she is far more than a simple piece of colored cloth. I recently visited Washington, D.C. for a one-week vacation. If you haven't had the chance to do so, please plan to visit that incredible city. Arlington National Cemetery and the Smithsonian were two of my favorite places to visit, partially because each holds a memory for me related to our American Flag. 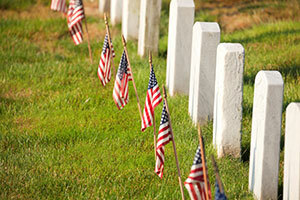 At Arlington, the American Flag rests alongside hundreds, perhaps even thousands of white gravestone crosses in perfect lines across manicured, green, grass covered gravesites. I visited the Iwo Jima Memorial at night. The imposing bronze memorial features a group of American soldiers struggling together to raise the American Flag over Mount Suribachi after one of the bloodiest battles in World War II. At night, the memorial is illuminated. The bright red, white, and blue colors of the American Flag are in vibrant contrast to the cold and somber bronze color of the large memorial figures. At the Smithsonian, you can stand before the very Flag that flew over Fort McHenry during the War of 1812 as the city of Baltimore, Maryland was defended. From a British ship in the harbor, Francis Scott Key viewed the raging battle that would largely determine the future of our nation. Key was on that ship trying to negotiate a prisoner exchange when the battle began. He was held there, not to be released until the battle was over. 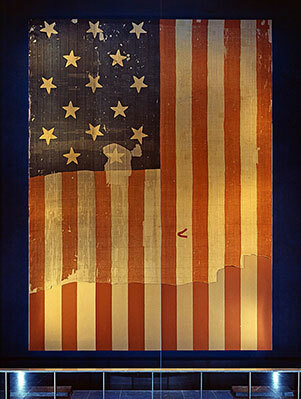 As dawn broke and smoke cleared from the subsiding battle, our flag still waved, her colors never struck in surrender. The battle that night and the images he saw moved Key to compose a four-verse poem he entitled, “The Battle of Fort McHenry”. Music was later added to that poem, and in 1931, the song version was renamed as the “Star Spangled Banner”. At thirty feet by forty-two feet, the Fort McHenry flag is huge by comparison to most flags flown today. It bears the scars of that famous battle. It is displayed in dim light to protect it from damaging light rays. It recently underwent a major restoration, not to repair it, but preserve it for its historical significance and its importance to our nation. You can stand before that flag and see her as you share in part of the emotion and pride that enveloped Francis Scott Key and moved him to compose what would later become our National Anthem, the Star-Spangled Banner. I could go on and on about why I love the flag and what she means to me. I was taught respect for her as a child. She has earned my respect as an adult. I saw a video recently online of a Little League coach working with his team members. The children looked to be about seven years old. What was the winning strategy or play the coach was teaching his team members? They were standing on the chalked, first base line, left arm bent and placed behind their back. In their right hand, the children held their baseball caps, resting them still over their hearts. He was teaching his team how to stand and respect the American Flag and our National Anthem. He was helping give these children a foundation of pride and respect for their country that they will carry into the workplace, teach and share with their own families and children, and perhaps even carry into battle in service to their nation. That is the mindset of pride and patriotism that will see our nation continue to prosper and be a world leader. It's common courtesy and respect for tradition, sacrifice, and history that adults teach children every day as they lead and parent by example. I also saw another photo recently that deeply saddened me. It was of elected members of our own Congress who chose to stay seated and not participate with others in reciting the Pledge of Allegiance on the Floor of Congress. I understand their right to do that. I will never understand their reason for not wanting to. Sports players kneeling, protesters burning, and other forms of flag desecration both disappoint and deeply offend me. I'm consoled by one thought that I always keep close in heart and mind as I see our flag being disrespected. No matter what disrespectful action the misguided may take, they always fail to diminish what the American Flag stands for in any way, and their action most often speaks very loudly about the legitimacy of their cause. If you have to dishonor your nation and her flag to draw attention to your cause, then you need a new cause, or a more civil and respectful way of drawing attention to it. If you must use shock and offensive, even illegal action to draw attention to your cause, you need a new cause, or a better way of advancing it. If what you are doing requires you to wear a mask to hide your identity for fear of being arrested, for offenses like rioting, vandalism, or flag burning, stop doing it, get some self-respect, and learn about the American Flag you so quickly dishonor and take for granted. To millions of Americans, your manner of protest destroys any credibility they may have seen in your cause. The Civil Rights movement was a powerful and peaceful one that changed the face and fabric of our nation. Everyone knows our nation isn't perfect. We struggle to move forward on many fronts. But always remember this. Those who choose to desecrate the American Flag will be the first to wrap themselves in her protection when that need arises. Though they may choose to fail our flag, she will never fail them. Elected officials may fail you, but while elected officials are temporary, the American Flag is permanent. What she stands for is unwavering and is the envy of oppressed people in nations around the world. Be proud of our American Flag and celebrate her past, present, and future greatness that YOU will contribute to. She is a "Grand Old Flag". Historically, she's come a very long way in a short period of time. She also has a long way to go. The American Flag will always be recognized around the world as a shining symbol of justice, national pride, hope, and equality. She's YOURS. Let no one will ever take her away from you! Those who gave their life to protect the freedoms we now enjoy never had to worry about long-term care. It is our freedom which they fought for which gives us the opportunity to have a quality life, enjoy family and earn and save money for our families and their futures. You probably worked hard to save money for your future or current retirement. What are your plans for your savings? Sure, they include a nice lifestyle once you retire. What else? Travel? Hobbies? Perhaps a legacy? Your plans probably don’t include using your savings to pay for caregivers. The financial costs and burdens of aging will impact you, your family, your savings and your lifestyle. If you think your kids will be caregivers … think again. Caregiving is hard. They have … or will have their own careers, families and responsibilities. Paid care drains assets. What to do? Affordable Long-Term Care Insurance will safeguard your retirement accounts and reduce the burdens which extended care place on loved ones. The fact is these plans are easy, affordable and rate stable. 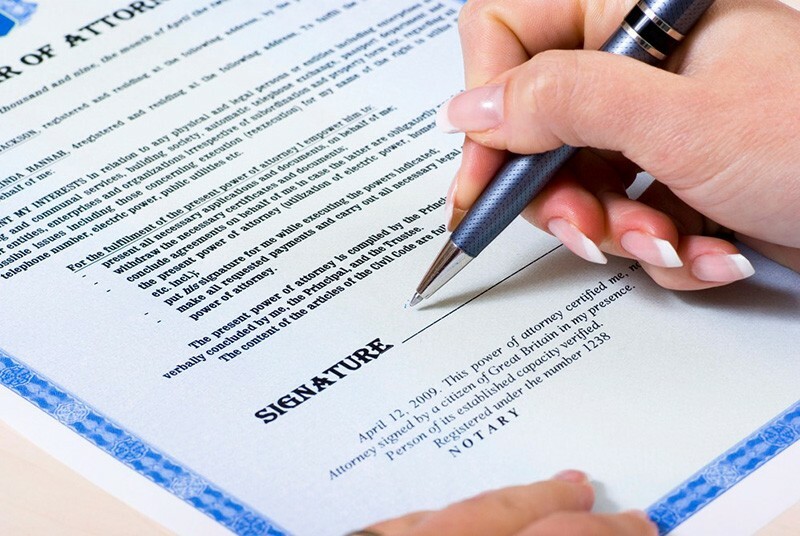 Be sure to speak with a long-term care specialist who represents all the major companies.